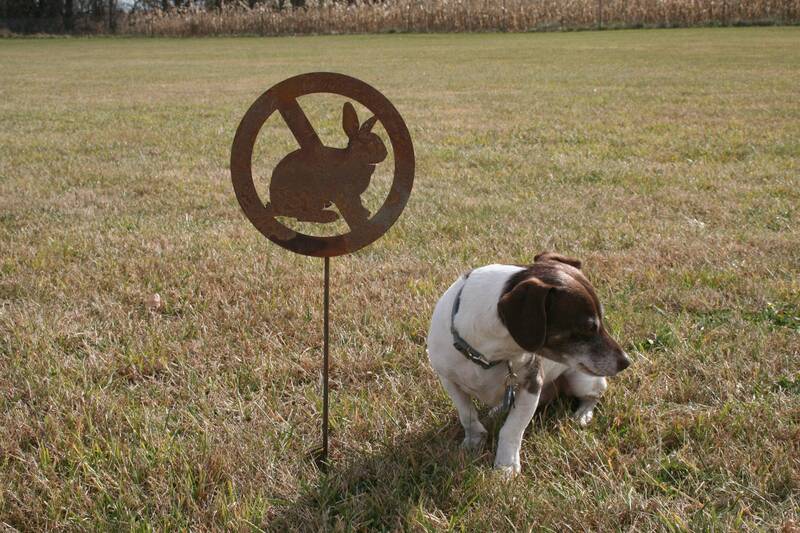 No Rabbits Allowed! 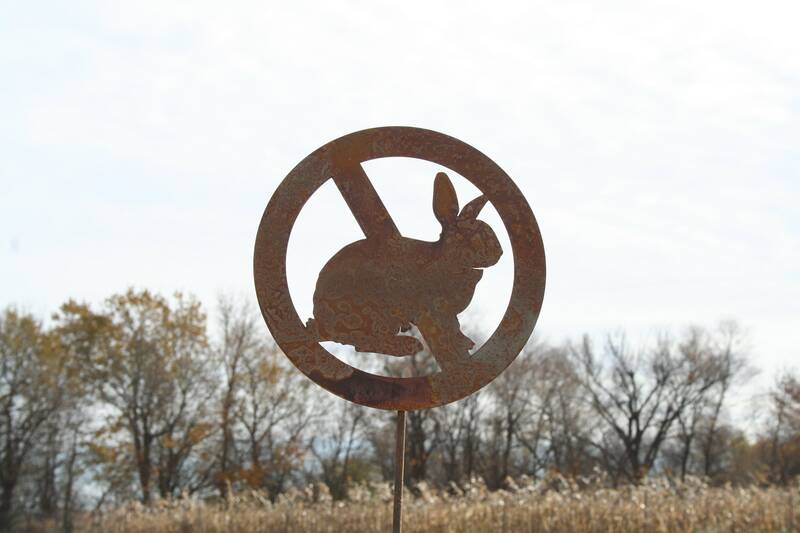 This adorable, rustic garden stake is perfect for your landscape. It's a great size for large flower pots as well! 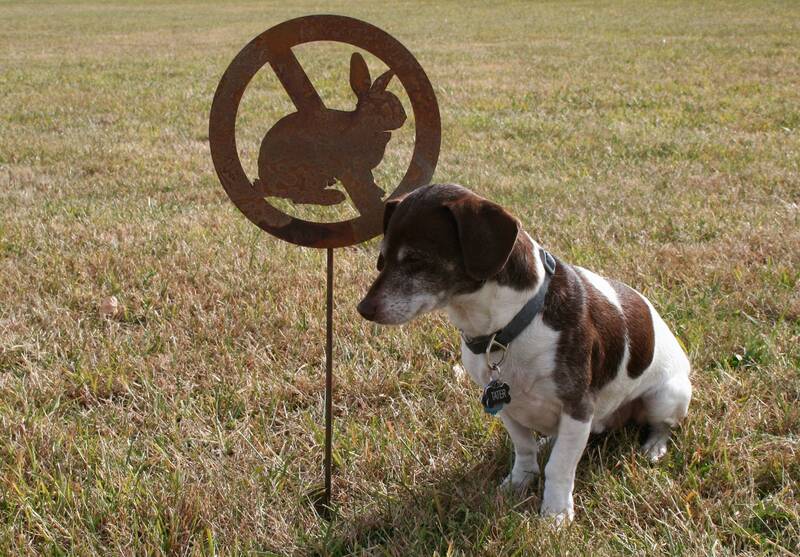 Tell those bunnies they are not allowed near your crops or flowers! Stake is roughly 23" tall. 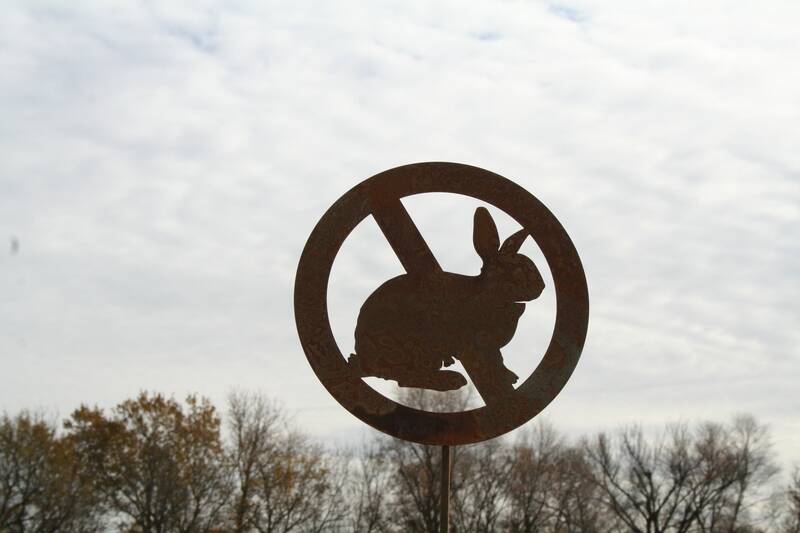 The rabbit sign is cut out of steel and welded onto a steel rod. The circle is 9" wide. 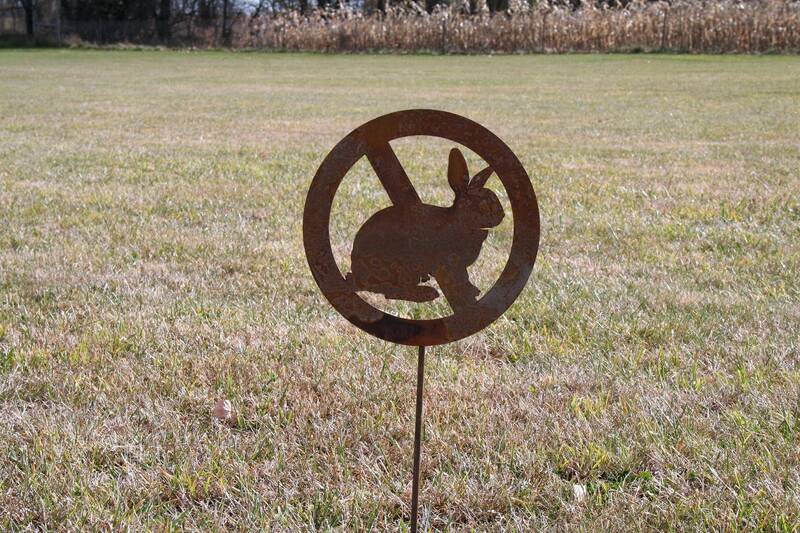 This makes a lightweight but durable garden stake. 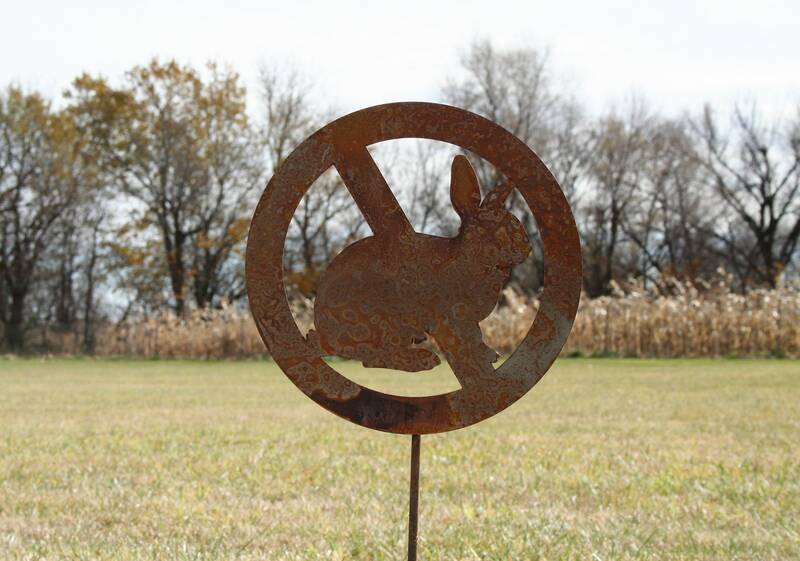 This adorable, rusted stake will add the perfect charm to your landscape or garden.